We’ve had Nice, then at the beginning of this week Würzburg, now München – it’s getting hard to keep track of all the public massacres these days! Still, there remains one ray of light amidst all this gloom. 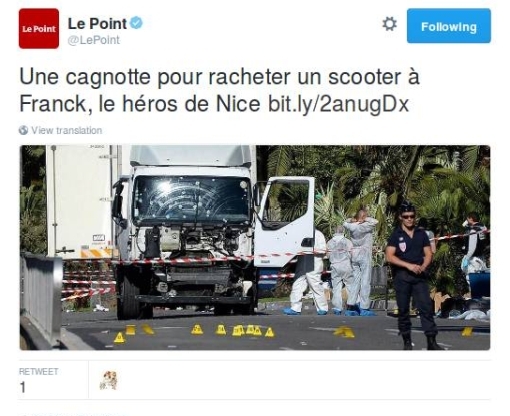 And that is the hero of the Nice attack – only just over a week ago – a guy named Franck. (Just so you know: That’s a somewhat common French first name, the guy obviously wants to withold his last name to better control his privacy.) 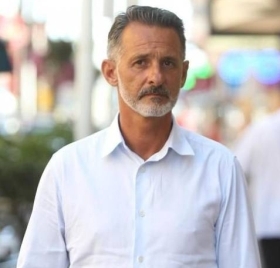 He’s the brave gentleman who was on his scooter on the Promenade des Anglais and promptly pursued the terrorist’s truck on its deadly path, and who is in fact credited with helping to slow it down so that police ultimately had an easier time shooting the driver. Amazingly, Franck survived the episode, I believe he wasn’t even injured. The same cannot be said, however, for that scooter he was riding. As I already mentioned on Twitter, there’s now a French-based crowdfunding appeal going on, via the “Leetchi” website, to raise the funds at least to buy him a new scooter. Even as I write this, they’ve already raised just over €11,000 there so far. The sort of scooter they have in mind buying for him (“PIAGGIO mp3 300 LT sport ABS/ASR Black matt sport”) is listed right there. Interestingly, that same Crowdfunding page has a full picture of Franck at the top (and which I have put here): a fit, distinguished-looking gentleman with dark hair but a white beard (so aged, say, between 45 and 55). More interestingly still, that same page has Franck’s account of the incident, albeit a shortened version. But there is also a link to the full version in an “exclusive” interview piece in the local paper there, Nice-Matin. Is Albert II Up To His Old Beatrix? So another Head of State departs (after Egypt’s, I mean), but not in quite as controversial circumstances. Albert II will abdicate in favor of his son, Philippe, on 21 July, which happens to be the Belgian National Day. This was no surprise to faithful @EuroSavant Twitter-feed followers, since I had flagged in that forum some months ago the rumors that had emerged that this sort of thing would happen. And yes, that particular tweet above has to begin by specifying “Belgique,” because it’s from the French media, not the Belgian, but I wanted to give props to Le Point for their accompanying story-behind-the-story piece, namely WHY the Belgian King is abdicating. Which weekend was that? The one back in May that ended with his arrest in New York City for allegedly sexually assaulting the Sofitel maid. (But I don’t think that she counts as one of the three – that incident is still “alleged.”) This information comes from a friend of Anne Sinclair, DSK’s current wife, to whom he is said to confessed it. It would seem that DSK had the idea of “profiting” from one last moment of pleasure before announcing his participation in the Socialist primaries [for next year’s presidential election, which he was getting ready to fly back to France to do]. Two women were convened in the rented suite at the Sofitel. From surveillance-camera images, this information is confirmed. That same night the hotel’s receptionist supposedly refused the advances of the former IMF boss. Wait, I’m keeping score here. If the receptionist was not concubine #3, nor the maid who went to the police, then who was? Well, at this rate that detail should turn up in public soon. *Strangely, La Libre cites the French newsmagazine Le Point for all this information. 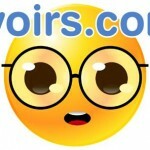 I do prefer citing such an ultimate source above all, but in this case I could not find any mention on Le Point’s site. Maybe they’re reserving it for the (paying) print customers? As various forms of unrest continue to percolate throughout France – as always, the website of Humanité, the Communist Party newspaper is probably the best place to go for news about that – the fundamental fact remains true that the retirement reform at the center of contention is becoming law regardless. Yes, word is that it has to be formally approved a couple of times by the two houses of the French legislature and then signed by President Sarkozy, but there’s no indication that there will be any hitch in that process despite any strikes and demonstrations going on in the world outside. The result: Even as the masses out on the streets shriek NO! the government goes ahead with “Yes” – and this in a liberal democracy. Of course, things are actually not quite so clear-cut as that. All the people out demonstrating often make an impressive sight, but do they really represent the political will of the majority of France’s citizens? And even if they do: France is not a direct democracy where the people vote directly on laws – no modern society is a direct democracy – but rather a representative democracy, where according to one section of the rules of the game (somewhere; I believe it’s in Aristotle) the elected law-makers do have the right to go against the will of their constituents if they believe doing so better serves the nation. And it would seem raising the retirement age from what is financially a completely unsustainable age to one slightly less unsustainable qualifies. Ah, but even as the Assemblée Nationale and French Senate undertake to do so, they make a mess of it. For while they were passing this retirement reform, they chose not to pass amendment 249 – that’s the one that would have subjected their own even-more-generous lawmakers’ pension system to the same conditions they were about to impose on everyone else’s! Nicolas Sarkozy declared on Friday that he will announce when “the time is ripe” for initiatives in response to the French people’s worries and that he first intends to “take some time” to reflect on them. As becomes clear as the article goes on, however, don’t expect him to start that thinking anytime soon, he’s a busy man. The Chinese president will be visiting Paris soon, then it’s off to Seoul for the G20 summit. Sarkozy made it clear that, when it comes to addressing the concerns of his countrymen he won’t “confuse speed with haste” but will take “time to reflect serenely, calmly, profoundly.” Hey – merci bien, monsieur le président! I bet your own pension is rather more generous than that of the man-on-the-street as well! After French/Polish director Roman Polanski’s arrest last Saturday night as he was trying to enter Switzerland to attend the Zurich Film Festival where he would accept an award, the first public reactions from his countries of citizenship expressed outrage. More substantively, both the French and Polish foreign ministers issued a joint appeal to US Secretary of State Hillary Clinton to intervene, which she declined to do. Once again Asia/Oceania has been hit by a devastating tsunami, or killer tidal-wave series. This time it was Samoa and American Samoa that were afflicted (as well as other neighboring islands, such as Tonga), and it looks like no one was able to be warned in time about what was coming from the Pacific Tsunami Warning Center in Hawaii. Indonesia, 17 July 2006: An undersea earthquake creates a tsunami that hits the southern coast of Java and kills 654. Samoa (again! ), 28 September 2006: Only a “light tsunami” this time, no word of any casualties. Russia, Japan, and USA, 15 November 2006: An underwater earthquake among the Kuril Islands (northeast of Japan, administered by Russia) causes a tsunami that hits the northernmost major Japanese island of Hokkaido. It’s a weak one, though, although apparently at the same time strong enough to go clear across the Pacific to cause some seaside damage at Crescent City, CA (just under the Oregon border). Solomon Islands, 2 April 2007: Three coastal villages devastated, 52 people killed when a tsunami hits the westernmost of the Solomon Islands. Japan, 11 August 2009 (just last month! ): A tsunami hits “the center of Japan,” so presumably the main island of Honshu, but it’s a light one and only a few people are lightly hurt. And then there’s yesterday’s serious incident around Samoa. I suppose the lesson is that, if you live anywhere near Southeast Asia (even in Crescent City, CA), you had better stay tuned in on-line to that Pacific Tsunami Warning Center website, but still keep your surfboard handy and/or your running-shoes on your feet for when the waves turn out to move faster than the warning. Yes, as Kessler reports in his new book for which he interviewed scads of Secret Service operatives, Barack Obama is on the receiving-end of about 30 death-threats per day, as opposed to the “only” nine per day that George W. Bush enjoyed. (Now, America is a country of some 300 million, but still . . . perhaps that is a tad much?) The main thrust of his message, as reported by Touchot, is fairly predictable: in these days of government cut-backs, the Secret Service also considers itself to be rather alarmingly starved of resources to be able to respond appropriately to this level of threat against the President’s person. They have only half the level of personnel that they consider necessary, and too often those agents who are on the job have to forego training in order to go investigate and/or guard against various new hazards. If they complain, then they are apparently met with a Marine-type, hoo-ha attitude from their superiors: “You can get it done, and with the resources you have, because you are a Secret Service Agent!” You are Clint Eastwood! Touchot passes on something else that also isn’t very surprising, namely that Obama has stayed cool in the face of these threats, both on the campaign trail and as president. He then unfortunately feels the need to pad out his piece by reciting the Secret Service code-names for Obama and his brood: the President is “Renegade,” Michelle is “Renaissance,” and on down. Isn’t it obvious that, once revealed like this (and we all know that they were made public long ago), these “code-names” rather lose any functionality they ever had as tools to keep anyone eavesdropping on the Secret Service from knowing who they’re talking about? It’s clear that there must be some other reason for them, and for their repeated revelation, probably having to do with PR and Americans’ love for spy-thrillers and all appurtenances thereto. If the Ph.D. thesis about this phenomenon from some sociology student has not yet been written, I’m sure it will be forthcoming soon. Any residence of Texas knows about “The Valley,” even if he or she doesn’t happen to live there. Not really a valley it all, it’s that area down along the Rio Grande that constitutes the border there between the US and Mexico, a handy place for new Mexican immigrants to the US (legal or otherwise) to get their start, but otherwise producing little of note for the world other than folk singer Kris Kristofferson and legends from the Streets of Laredo. Now The Valley has produced something else, something that has caught the attention of the Pan American Health Organization (PAHO): a new strain of swine flu that is resistant to the main drug the world is relying on to counter its effects, Tamiflu. 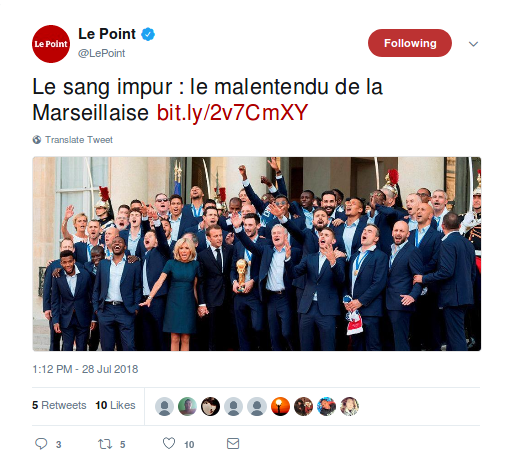 Reports about this come both from France’s Le Point and (perhaps somewhat strangely) Denmark’s leading business newspaper, Børsen, which cite PAHO spokeswoman Maria Teresa Cerqueira, attending a swine flu conference currently happening in La Jolla, California. Granted, this same Tamiflu-resistant strain has already been spotted in Denmark, Japan, Hong Kong, and even once before in North America, namely in Canada. But how did it come about? Cerqueira: “In the USA Tamiflu is sold by prescription, but in Mexico and Canada they sell it over-the-counter and take it at the first sneeze. And now that it is really needed, it doesn’t work anymore.” In other words, if you grant the assumption that the swine flu we can expect in the autumn is likely to be deadlier than what we’ve encountered so far (although, to be fair, the past strain did kill 353 persons in the USA and 143 in Mexico, among others), then pill-popping Mexicans and Canadians have exhausted the world’s Tamiflu firepower on the earlier, safer version – which reportedly merely caused symptoms comparable to any common, garden-variety flu – and thus have left everyone vulnerable to the more dangerous strain. There’s perhaps a glimmer of hope in the Le Point piece, namely that one patient found to have the Tamiflu-resistant virus was able to be cured with another drug, “Zanamivir,” made by GlaxoSmithKline. So maybe there’s still an alternative cure available – until the virus in short order develops resistance to that! Goodness, it seems one 54-year-old male resident of Mérignac, a town to the southwest of Limoges in the French Dordogne, recently set off in his car on a rather dastardly mission. He headed for a village about 50 km away called Valeuil, with the intention of stealing whatever he could find of value from the local cemetery there. We can deduce his intentions by the fact that he had a ladder, a hammer, and a chisel in his possession. And we can deduce that he had a ladder, a hammer, and a chisel because those were found right next to his stiff body laid out in the very cemetery he had intended to loot, as Le Point tells in a brief article entitled He dies of a heart-attack . . . in the middle of pillaging a cemetery. Perhaps his mistake was that he visited the cemetery in broad summer daylight; he apparently figured that it was such a small town that no one would notice him anyway, but he didn’t take into account the effects of the heat. Truly, the shoplifter unexpectedly became a customer, so to speak – I wonder whether somewhere in the afterlife he immediately ran into those whose graves he had despoiled or had intended to despoil. The excitement is mounting . . . in less than a day we should all know who the 44th President of the USA will be! That is, unless we come up against another vote-counting disaster such as occurred in the state of Florida back in 2000, Patrick Sabatier reminds us in his article for the French news-magazine Le Point: The four lessons of an historic campaign. Thanks for that, M. Sabatier, and unfortunately what you foresee could well come true, what with the unprecedented flood of voters expected to show up at the polls today, even after the similar throngs that flocked to the early-voting sites opened by some (but by no means all) states. He came out to the podium, he gazed out upon the 80,000 upturned faces aglow – and then last night Senator Barack Obama laid out his vision for his presidential campaign and for the presidency presumably to follow. Don’t get me wrong: I’m not trying here to push any Republican-inspired “Messiah” or “Moses-parting-the-seas” irony to cast last evening’s events in a disparaging light. Indeed, it was an impressive spectacle – complete with letter-perfect weather! – that itself rightly dominated the news-cycle and to which reactions still dominate that news-cycle this morning.